The official launch of the most affordable airport weather observation system by BARANI DESIGN Technologies will be announced at the upcoming Farnborough International Airshow. The AUTO-METAR weather observation system based on field proven technologies will feature at its heart the METARlogGSM meteorological data logger which offers a strong suite of analog and digital sensor inputs for future sensor expandability, making the system future proof. For an investment of thousands less than its nearest competitor, a reliable and wireless AUTO-METAR solution can be realized on just about any airport. ICAO certified sensor suite and central data logger meet all international requirements for a reliable AUTO-METAR solution. If desired, interface with existing airport systems is ensured by a wired serial interface featuring user selectable MODBUS RTU or TEXT data output in real time. Sensor suite of the most affordable sensor package features the basic elements of a METAR report can be had for less than 3000 Eur, which makes this system affordable for even the smallest private airports. For more information about the MeteoHelix and ezMETAR AUTO-METAR weather monitoring system please visit Barani Design website: www.baranidesign.com or visit us in person at Farnborough Airshow 2018 in hall 3, booth 3418. What is the difference between METAR and AUTO-METAR? The presence of "AUTO" in a METAR report message indicates a fully automated report with no human intervention. Absence of AUTO indicates that the report is either a manual report or an automated report with an observer logged on to the system. Presence of "COR" in a METAR means that a corrected METAR or SPECI is being transmitted. "COR" report invalidates a previous message and replaces it with a "COR" message. "AUTO" and "COR" cannot be transmitted in the same METAR. Logic indicates that if the term "COR" is used, the observation cannot be "AUTO", because someone (observer) is correcting it. Any automatic "AUTO" report generating system has no way of knowing that the previous message needs to be corrected since it was generated by the rules programmed into the system. If an observer is not monitoring METAR observations from a weather station, than by default, the METAR report messages sent from the weather station must contain the modifier word "AUTO". "AUTO" informs the pilot that the system is not being monitored by a human observer and the associated risks. SPECI is issued and transmitted when a significant change in weather conditions occurs (deterioration or improvement). Significant change in winds and gusts, visibility, cloud base height or occurrence of severe weather. It can be issued by an AUTO METAR generating system based on ICAO & WMO guidelines. 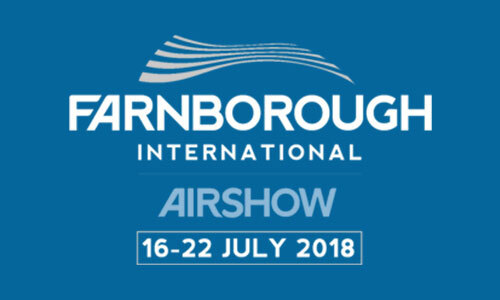 For more information about the MeteoHelix, ezMETAR airport weather stations and AUTO-METAR weather monitoring system please visit Barani Design website: www.baranidesign.com or visit us in person at Farnborough Airshow 2018 in hall 3, booth 3418. Wireless weather monitoring solution for small airports and heliports is set to be priced below 500 Eur, making it the most economical WMO compliant wireless weather station on the market for use on even the most cost conscientious airstrips.